I recently received this letter in my son’s lunch pack after picking him up from school. I was flabbergasted to think that a Chia Pod would be deemed unhealthy and considered a chocolate treat. Mind you, last week, I sent in a sugary 24 mg (sugar) coconut yogurt with chocolate and received no response. Yogurt is fine but apparently chia with cacao is not? I don’t know if this is the new Michelle Obama plan that everyone has been complaining about but something obviously needs to be done about educating our schools and teachers on superfoods and healthy alternatives, etc. 12 mg. of sugar is actually less than most yogurts and Chia provides things like Calcium, antioxidants, etc. You can be sure that I sent a note right back to the teacher with an explanation that my son cannot have milk yogurt anymore as he’s allergic, and that they would need to make concessions for the yogurt alternatives that I send. He’s an extremely picky eater and refuses to drink almond milk or veggies so getting his calcium and vitamin D is a challenge. I am sure it was just an oversight on their part but it definitely opened my eyes on the mis-education of the american populace. If our children are being taught that goldfish crackers or high sugar yogurts are a better snack than chia pods (made with 5 whole ingredients: Almond Milk, Chia seeds, water, coconut sugar and cacao), we have a lot of work to do at home. Do you have children in the school system too? Have you received a note about something they brought being unhealthy? Let us know! Believe it or not the Halo Ice cream has less calories in one pint than this Coolhaus Ice Cream Sandwich. Actually, half of the Coolhaus Ice Cream sandwich had the same calories in the entire pint of Halo Top. If you’re looking to enjoy something really sweet and decadent, go for the Coolhaus, if you want something that tastes like a Wendy’s frosty in ice cream form, go for the Halo Top. Coolhaus- This melt in your mouth sandwich had a “made at home” feel. The cookie wasn’t factory perfect but it was delicious- it’s fun for a summer day when you’ve been out at the beach or the pool (or the lake) all day and you need some ooey gooey sustenance. Just remember to share it with a friend (or when you’ve decided to do a cheat day) because this gigantic sandwich tops out at about 500 calories. Halo Top- Let’s get real here, there is nothing like slamming down a pint of Ben & Jerry’s while watching a great movie on a Saturday night but there is usually regret following that last scrape at the bottom of the cardboard bowl. Halo Top clears all that guilt by creating this wonderfully filling (I only at like 2/3 and I couldn’t eat another bite) fiber and protein-rich ice cream at only 240 calories. It’s also 24 grams of protein in one pint (holla at you IIFYM people!) which is ridiculous. You might think the ingredients are crazy and totally out there but almost every single ingredient is whole and something you can pronounce. I was honestly surprised because I would have eaten this thing even if I couldn’t pronounce the ingredients. There are other flavors but I chose chocolate because I felt that would be the one I could enjoy the best. I have driven by this restaurant a few times on my way to visit friends up north and thought it looked like such a cute place to visit- it reminds me of the former “Jezebel” restaurant in NYC. I finally got the chance to visit when a friend of mine and I decided that would be our “halfway” point one night during a much-needed mom’s night out. We were seated in the bar area because let’s be real, a mom’s night out calls for a few drinks! Unfortunately, our waiter was either very overwhelmed or not happy about being a waiter and a bartender because he was not the most helpful server. They also said there was absolutely no modifying the side dishes (no have-it-your-way here) and even asking the kitchen manager came back with a resounding “no”. To be fair, the bartender had been there only a week but you would think that would make him a little more willing to be accommodating. Instead he laughed at our requests and we were even bombarded all night with dishes that were not ours. Needless to say, it was a bit disorganized and we were not impressed with the service. Because of the poor service, we decided to just order one salad and split it. Lucky for us, the Watermelon salad was HUGE and amazingly delicious! Honestly, I was full after eating half a salad. These salads are big enough for two people and they do not disappoint (unlike their service). The lighting was very dim so I had a hard time getting a good picture but this dish was a masterpiece- a huge slice of watermelon underneath and then a spring mix on top with balsamic glaze, nuts and cheese and one or two more things that I’m forgetting. So, bottom line- go here for the food, not the service. Expect the worst and maybe you’ll be pleasantly surprised. Also, please note that as this place is called “Southern Swank”, it’s not super veggie-friendly but the salads are worth making the trip. Let us know if you’ve been and what you thought! Sweet Plantain, Maple and Brown Sugar Cake – Ashley’s back! Do you ever just get in a rut? You feel sad, overwhelmed, unable to concentrate on things that you once loved. Daily stresses combine with big stresses and everything that doesn’t involve laying on the couch becomes too much to handle. That’s how I’ve felt for the past six months. Many things happened in my life that just snowballed into this overwhelming feeling of just not wanting to do anything at all. I don’t cross promote, and still won’t, but I do write a couple of other blogs. All of them have had the same theme lately: either incredible sadness or absolutely nothing at all. When I fall into these bouts of depression I tend to write for myself more than anything else, and being a perfectionist, I cannot just throw something on a page and not be proud of it. I wrote a lot of poetry over the past few months, none of which will ever be shared with the public at large, but it helps if you’re suffering from the same feelings. The plantain is a staple in most Latin households. It can be eaten green or yellow, unripened or ripened. Green plantains are used mostly for frying – in my house either for cutting in slices, frying, mashing and then refrying into tostones or patacones (we are a mixed Caribbean/Central American household, so yes we do use both words). I also mash them up into a vegetarian mofongo (the most delicious thing on earth when paired with a robust tomato or vegetable broth – make sure to add some smoked paprika to imitate the flavor that meat imparts on the traditional mofongo). Sweet (also called yellow/ripened/black plantains) can also be sliced and fried into maduros or tajadas, or you can make a pastelon, or plantain “lasagna”, with strips of fried sweet plantains instead of noodles. There are also plantain empanadas (which I have already given you a recipe for here), plantain soup, simple boiled and mashed plantains instead of potatoes – the plantain is a very versatile vegetable. Well, I could have done any of these things with my blackening plantains, which by the way is the best way to use sweet plantains – when they are almost completely black. But instead of the traditional, I decided I had a craving for banana bread. And of course I didn’t have bananas, only sweet plantains, so I made Sweet Plantain, Maple and Brown Sugar Cake. It’s very sweet, with a nutty flavor from the flaxseed, and completely vegan. It also can easily be made gluten free by using a gluten free flour instead of the whole wheat flour. Start by combining the ground flaxseed with water until incorporated. Set aside. Cut up the plantains into small slices and add to a large mixing bowl. Add the cane sugar, brown sugar, salt, vanilla, maple syrup, flaxseed mixture, almond milk and butter. Mash and mix together until a batter is formed. Add baking soda, baking powder and whole wheat flour. Continue mixing until fully incorporated. Grease your baking pan (I used two small loaf pans) and pour in the batter. Bake until golden brown and set in the middle, about 30 minutes. What things have you eaten around the world that you think are unique to where you live? Mama Veg just found this incredible Veggie Quesadilla all the way in Norway! Mama Veg: The Vegetarian Quesadillas were quite good and the atmosphere was very chill. The quesadillas had cheese, corn, zucchini squash pieces (interesting) and some kind of tomato sauce. The bar tender/waitress was impressed that we (Veg-on-the-Run) are international! She was sweet and very helpful. The corn chips had 3 dips: salsa, sour cream and guacamole. The food was plentiful and the cheese was tasty and creamy. A great take on a quasi-mexican dish! Mama Veg is travelling and we asked her to send us some great veggie places she’s found along the way so we can bring them to you! Mama Veg: On my way home from visiting Kurdistan, I stopped in Oslo, Norway for some sight seeing and checked out The Espresso House. T.E.H. is in downtown Oslo, just a few blocks from Royal Palace. The cappuccino I had was one of the best I have ever had! The pastries looked scrumptious and everything was fresh. The servers were friendly and the atmosphere was quiet and pleasant. There were several vegetarian options in salads and sandwiches, a definite must for visiting Oslo. I have been getting a little pudgier than usual in the last few months. I have fallen way off the deep end, even though I promised myself this year would be a healthier year. Thank God for meal delivery because it really helps you to re-evaluate your portion sizes (it’s already done for you) and takes a lot of the guess work out of the whole meal prep ordeal. I ordered for the second time from Supa Kitchen (and she was nice enough to include dinners as an added bonus this time! One of the perks of blogging y’all) because I need to get back on track. I was 10 lbs away from my absolute best weight in 15 years and then gained 8 more lbs! How did I do that? Why do we allow the self-sabotaging to even begin? On my front door at 6:30am last Monday morning, was a meal bag with the next 3 days of meals. Thursday morning, again, she delivered Thursday/Friday so everything was so fresh. No frozen meals!! Day 1: Lunch- Pita Pizza with Mushroom and spinach- I did get a little hungry after this one though it was probably close to 250-300 calories. No more 600 calorie lunches for me! Dinner- Cheesy Rice and “beans” (green beans) oh my goodness it was delicious! Have to get that rice recipe. Day 2: Lunch- Bean Burrito- a healthy take on the classic bean burrito. No oozy gooey cheese here but fresh and clean and tasty. Making better choices for snacks today, feeling fairly good about myself! Dinner- Eggplant Parmesan- dreaming about making my own meals next week. Not sure I will be as happy with the taste as I am on these meals. I think Kelsey should be teaching classes on how to prepare your food for the week. I’m a total idiot when it comes to portion sizes and buying ahead. Day 3: Lunch- Meatless Meatball stuffed zucchini- I loved this one! Two zucchini boats with “meat” balls and a little cheese. Every single meal leaves me feeling like I am healthy. Lots of veggies and grains. Dinner- Pesto Brown Rice- I have to admit, I had to add something to this meal because I felt like I needed a little more protein. Still very tasty. Day 4: Lunch- Apple Walnut and Cranberry salad with crumbled cheese. Nice portioned salad and adding in a few garbanzo beans made it perfect! It came with a raspberry dressing. Dinner- Quinoa and Bean Chili with Pita chips- very tasty and filling. I’ve made Quinoa chili before and it’s such a great healthy treat for winter or summer! Day 5: Lunch- Meatless Tacos- I’ve been waiting all week for this one!! I could eat ten of these tacos and not blink (which is why I need to order meal services). In fact, the portion was one tortilla and tons of “meat” so I used the extra “meat” and stuffed it into another tortilla I had at home because it was too good to pass up! Dinner- Orange Glazed Chick Peas with Sesame Grilled Zucchini over Brown Rice. I felt cleaner and healthier after the week was over. I made better choices with my snacks once my body adjusted to eating a little better. I could totally get used to eating this way on a regular basis, armed with some healthy snacks, this is perfect for the person who has no time to make their meals or isn’t the best at figuring out portion sizes! Her new menus for next week are out already and you have to order by Saturday to get delivery the next week. For more info, go to https://www.facebook.com/SUPAKitchenHollywood and get on her email list. 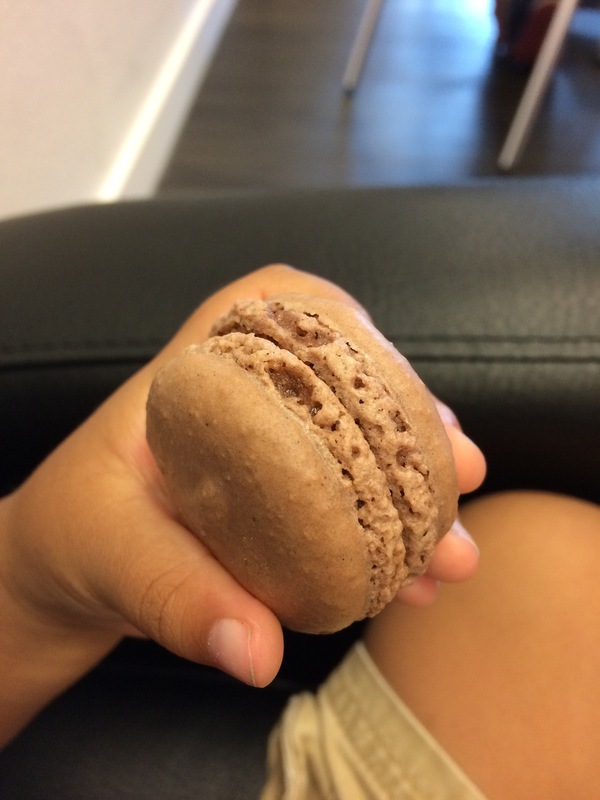 Ok, so I have a confession: before today, I’ve never had a macaron. 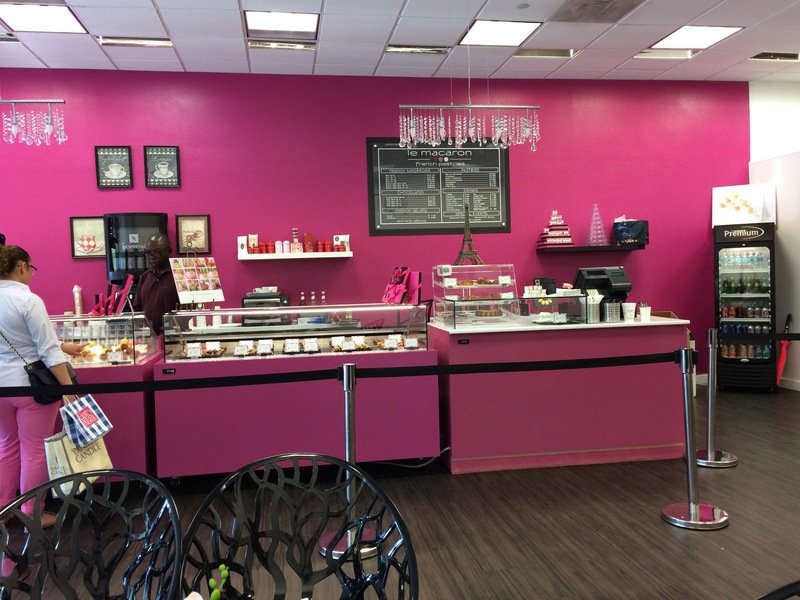 But that is about to change because Le Macaron has come to Pembroke Gardens! I’m so excited to try these adorable little cake/cookies! What is it about those two little cakey cookies that make them look almost too cute to eat? 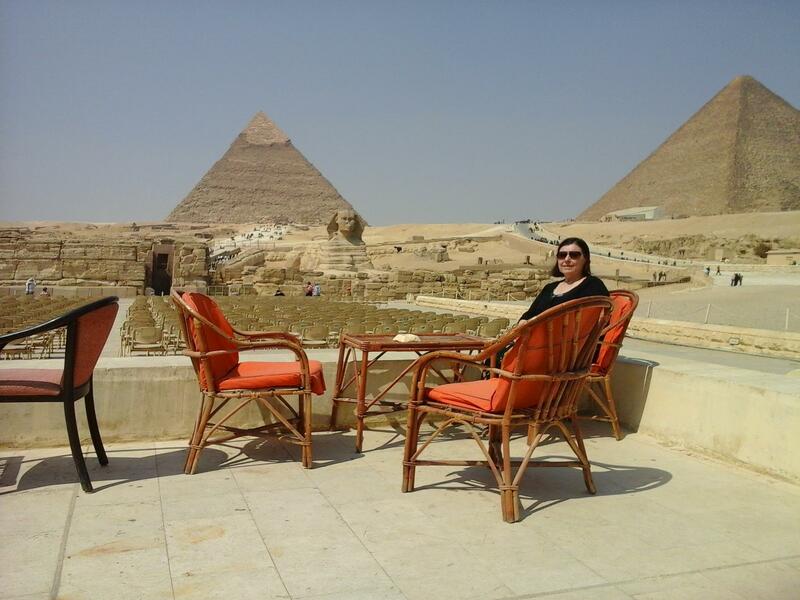 You have to check out this “tres chic” place for yourself or order some to try. There are a few other locations if you can’t make it to the one in Pembroke Gardens.